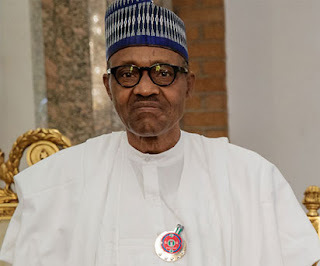 PRESIDENT Muhammadu Buhari yesterday met behind closed-doors with state governors at the Council Chamber, presidential Villa, Abuja, where he was quoted to have lamented that the nation’s economy was in bad shape. Briefing State House correspondents after the meeting, Chairman of Nigeria’s Governors Forum, NGF, Alhaji Abdulaziz Yari, said that President Buhari challenged the governors to redouble efforts in addressing infrastructural deficiencies in their respective states in order to revamp the nation’s economy. Yari, who is the governor of Zamfara State said, “Mr. President, as usual, responded by telling us that the economy is in a bad shape and we have to come together and think and rethink on way forward. “So, Mr. President talked to us in the manner that we have a task ahead of us. So, we should tighten our belts and see how we can put Nigerian economy in the right direction and how we can address the nation’s infrastructural decay. The governors had earlier attended an extended session of the National Economic Council (NEC) presided over by Vice President Yemi Osinbajo also at the Banquet Hall, Presidential villa before the meeting with the President. Osinbajo, at the extended session yesterday, challenged governors of the 36 states of the federation and other stakeholders in the country to stop the blame game and focus on human capital development in their respective areas. He told the governors to resist playing politics with issues, saying that it was time to get the job done. On the meeting of the National Economic Council, Governor Yari disclosed that the Council deliberated extensively on new ways state governments could generate additional revenues for speedy economic growth and development. When asked on what was the decision on the N30,000 new minimum wage which was expected to be one of the agenda at the meeting, Yari declined to confirm whether the meeting with the president discussed the issue of the proposed minimum wage. Recall that the Minimum Wage Negotiation team had recommended N30,000 as the new wage but the governors rejected the committee’s proposal and the N24,500 proposed by the federal government saying that they will only pay N22, 500. The NGF chairman said, the President also lamented how the previous administrations under the opposition Peoples Democratic Party, led to the nation’s infrastructure decay despite huge petrol revenue. Yari said Buhari who had recently declared that he will not complain against the PDP again, told them that, that will be his main campaign tool. “He is going to open a vigorous campaign and these are key issues that he is going to raise with Nigerians so that they can weigh their choices,” he said. Yari said they also thanked Mr Buhari for coming to the aid of states to enable them pay arrears of workers’ salaries by paying them the Paris and London clubs refunds. He also said unlike in the past, Buhari authorised bailout funds without recourse to party differences. “When Mr. President came on board, 27 states out of 36 could not pay salaries, some for 13, 12, eight, five months. Our first encounter with him, he told us that we have no business of being in power if we cannot do the basic that is pay workers. So he asked that we discussed how we can support those states that cannot pay salaries so that workers will be paid. “Those in the position then came up with the idea of bailing out the states so that they can pay the arrears. But paying the arrears was not enough because the performance of the economy at that time could not sustain the current salaries, that was how he paid the London Paris Club in batches until we exited last month, the payment of London Paris Club has been lingering for the past 12 years.